Evergreen, 1 to 1V2 ft. (30 to 45 cm).Zones 6 to 8. 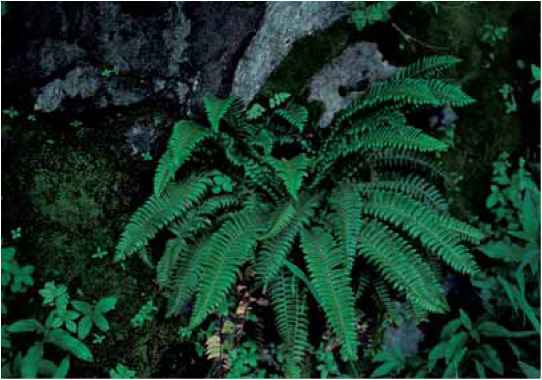 Polystichum imbricans in the mountains of Washington State. Note the overlapping pinnae. once-pinnate with 20 to 25 pairs of strongly auricled, closely spaced pinnae. The sori with peltate indusia are submarginal. 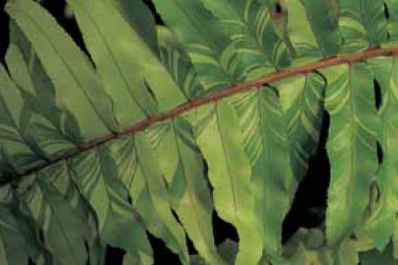 range and habitat: Dwarf western sword fern is at home in rocky, often sunny sites from British Columbia south through the mountainous regions of western North America. culture and comments: This attractive small evergreen is best suited for lean and coarse soils in rock garden culture. it looks like a congested Polystichum munitum and was once thought to be a form thereof, stunted by its exposed environment. The species hybridizes with P. dudleyi to create the northern form of P. californicum. Subsp. imbricans has overlapping, "imbricate" pinnae that are held on the horizontal in a partially open, venetian blind fashion. Subsp. curtum has narrow but not horizontal pinnae that are up to five times longer than wide.